A bit late, but have started my costume for the Sunday. We are taking part in the Queen Victoria's parade as part of a Seamstress group. It's outfits made with Simplicity patterns. 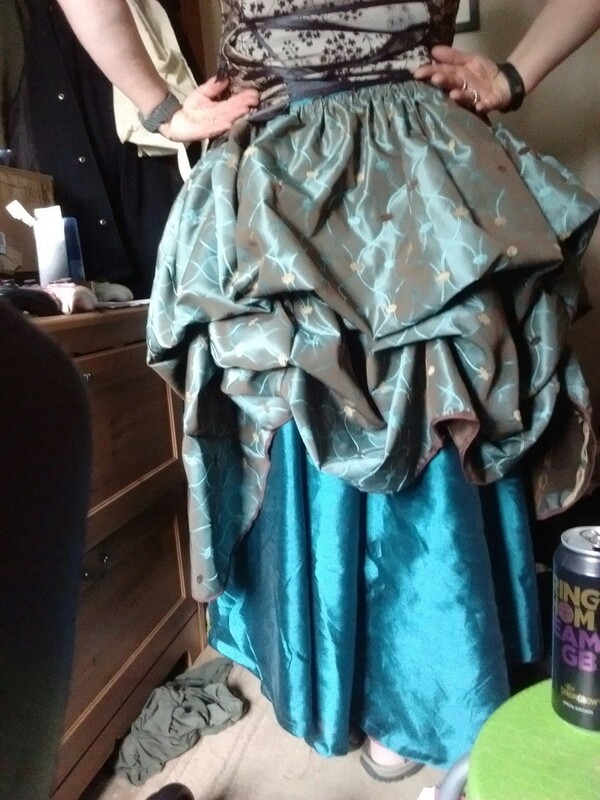 Anyway, here's the bustle made from material my friend gave me. Her mum passed away and she found the curtain material among her things. I loved the colour. It has taken a while to find something to go with it that was cheap. 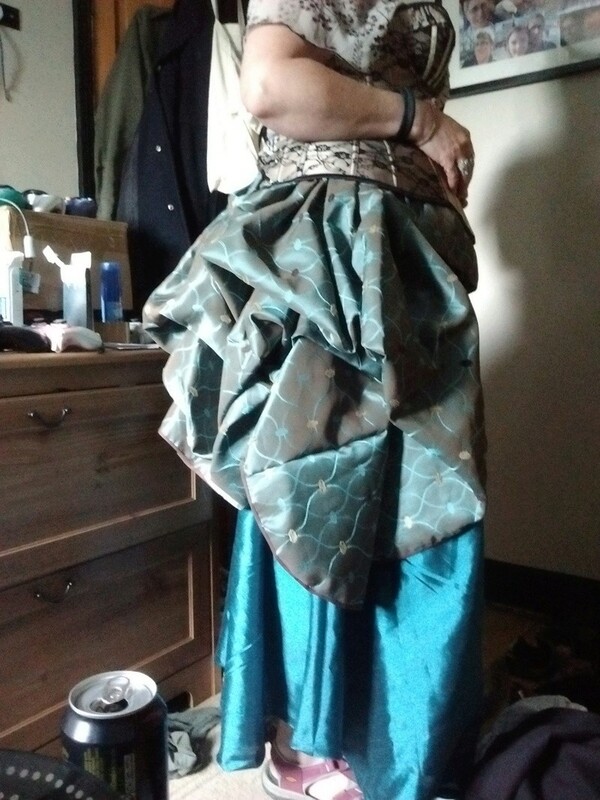 I found a pair of curtains for £3 and so far have the skirt made with that. So work in progress. Hopefully a jacket with a mix of the 2 next. Wow! That's going to look fantastic, Jo! Can't wait to see the finished outfit. Gorgeous fabric, you'll look fab. lol @ the boys bedroom look. Looking fabulous. I love that. Looking good Jo, like the colours.